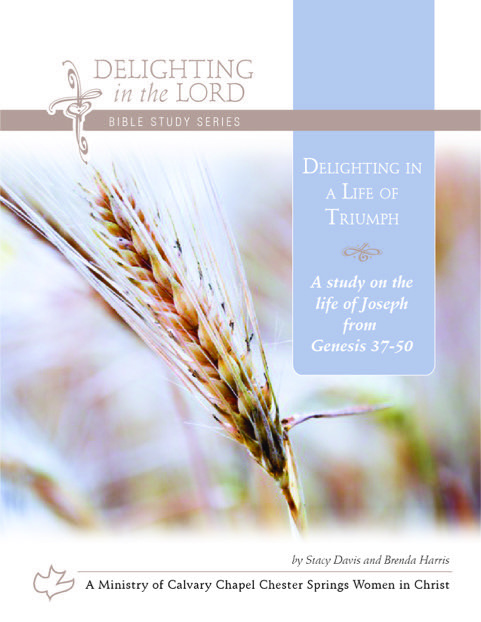 The Delighting in the Lord Bible Study Series offers women an in-depth study of God's Word. Each study focuses on a whole book of the Bible. 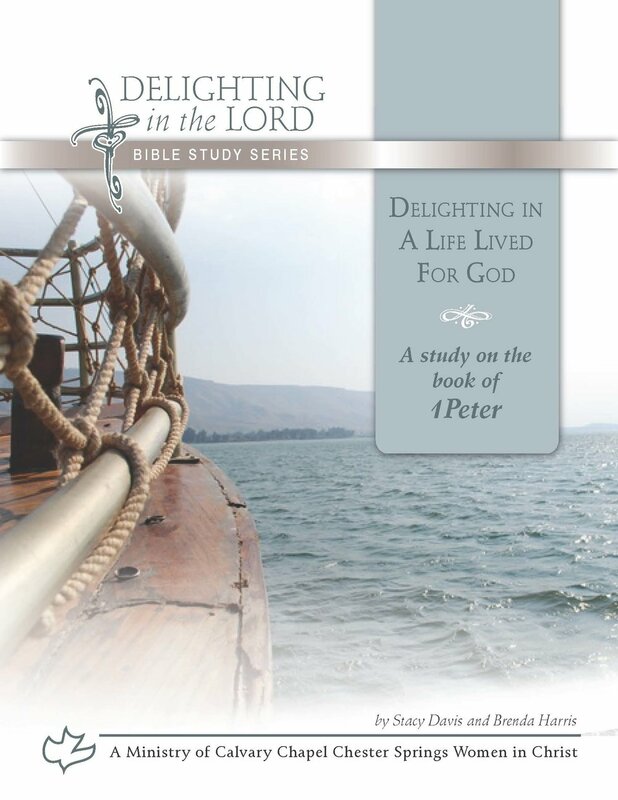 The study asks the reader questions on the chapters/verses being covered that week, focuses on life application and then ends delighting in the Lord through a verse or thought. It offers Biblical insight and personal testimony, as well. The series comes in workbook format. Wisdom. We need it. We want it – but often look for it in all the wrong places. Every day our life circumstances dictate the need for wisdom. From the simple, everyday choices to the more complex and life changing – we need wisdom for successful decision making. Challenging situations and relationships regularly come in life, often leaving us confused and needing guidance. We read self-help books and ask people for advice. We get educated in different ways or look online for help, yet often come up empty-handed. We need wisdom that isn’t subjective or unproven. We need wisdom that leaves us hopeful and confident; alleviating fears and giving us peace. And yet, as we search for it in the world, we often find it lacking and confusing. Where do we find solid wisdom for navigating life’s paths? Solomon will tell us in the book of Proverbs that wisdom begins with the fear of God. Setting our heart on God and trusting in Him is where wisdom begins. Out of that relationship comes a commitment to seek God, obey Him, and trust Him with all of life’s choices. In God is found wisdom because He, alone, knows the beginning from the end. His wisdom goes beyond the seen to the unseen. He alone speaks wisdom into all of life’s circumstances. The search is over for finding wisdom! Proverbs is the “how to” for life and it will lead you to the heart of God and His wisdom. It isn’t a book of formulas. It is a life-giving book of Godly principles and priorities written by a king, under the inspiration of the Holy Spirit, who was the wisest man in the world. Solomon shares what he learned when he followed wisdom’s path, and also what happened when he wandered off of it. As King Solomon will say in Proverbs 2:4-6, “If you seek her [wisdom] as silver, and search for her as for hidden treasures; then you will understand the fear of the LORD, and find the knowledge of God. 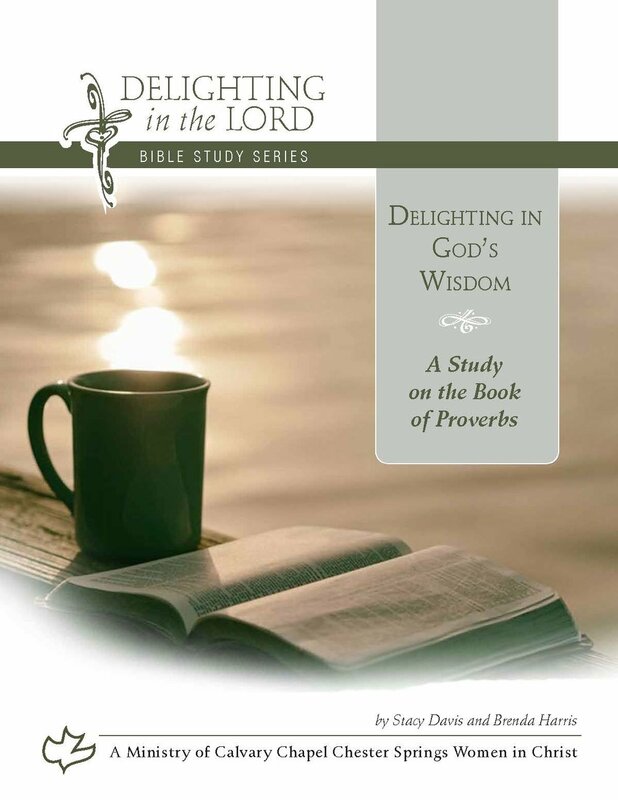 For the LORD gives wisdom; from His mouth come knowledge and understanding.” Join us for this thirteen week study from the book of Proverbs as we gain God’s wisdom to navigate all of life’s challenges and honor Him with our decision-making. Throughout the study we will also be highlighting women of the Bible so that we may learn from both their wise and unwise decisions. What does it look like to live a life of triumph….and is it even possible? Broken relationships, despairing situations, and unrealized dreams — sometimes life gets complicated and confusing as people and circumstances let us down. All the while, the enemy of our souls is right there whispering lies of defeat; telling us we’ve been abandoned by God and our situation is hopeless. The whispers tell us the life of blessing and promise written on the pages of scripture applies to everyone else but us. How our hearts long for the triumphant life; a life that triumphs over circumstances, emotions, and relationships. Is it even possible? The life of Joseph shows us that it is! Esteemed and highly favored by Jacob, his father, Joseph is envied and betrayed by his brothers who devise a plan to get rid of him. With God-given dreams of prosperity and position in his heart, Joseph travels through deep valleys of slavery, imprisonment, and accusations at the hands of others. Yet, Joseph’s life speaks of a life full of triumph where circumstances don’t define him but, rather, God’s love does. Joseph’s faith takes him to mountaintops where God sovereignly uses his life to save the very ones who sought evil against him, and to preserve the entire Jewish nation for the future birth of Jesus, the Messiah. Joseph’s life exemplifies a life triumphing in God’s grace, forgiveness, redemption, and sovereignty. Ultimately, our lives can triumph in God, Himself, when we know that no matter what evil is seen around us or is happening to us, God’s greater plan and purpose will prevail as He weaves together the details of our lives. He only asks us to trust Him in the process. Join us in this nine week verse-by-verse study through Genesis 37-50 as we dig into the details of Joseph’s life. Come with us as we go from Canaan to Egypt and then back to the Promise Land. Suffering, trials and persecution, they are all aspects of the Christian life and can range from a subtle rocking on unsettled seas to a full-blown tsunami threatening to devastate us. Peter knows a little something about stormy seas and a whole lot about the only sure anchor for our windblown boats. Living much of his life fishing on the Sea of Galilee, Jesus called Peter from his boat to a life lived serving God and His people. Having walked beside Jesus, Peter speaks to us from this relationship with tenderness, compassion and hope. A life lived for God will not leave us drowning in the storms of life but rather as we pursue a deeper walk with the Lord, a life lived for Him will leave us perfected, established, strengthened and settled (1 Peter 5:10). No matter what storm you are facing today, Christ will meet you in that storm and gently carry you to His safe shores. First Peter will show you how precious you are to Christ and how precious your proven faith is in the midst of suffering. A Jewish girl, orphaned at a young age, living in a foreign land, and being raised by her cousin; her story is one of uncertain circumstances and yet, Esther doesn’t let her circumstances define her. It is her faith in God and a life lived in such a way that defines her and undergirds all that she does. God will open doors for Esther to gain a position of influence and prominence in Persia as Esther goes from orphan to queen. It was, “for such a time as this” that God would call upon Esther’s faith to act in courage and help save the Jewish people from genocide under the hand of an evil Persian leader. The book of Esther is a story of rags to riches, life or death moments, and faith triumphing over fear. Esther’s life is an example for all of us of God’s love as well as what it looks like to be a woman of God. Not only will you finish this study with an understanding of this mighty work of God as He saved His people, but you’ll finish with an deeper understanding and application of being a Godly woman of influence, beauty, heritage, sacrifice, humility, patience, obedience and strength. Following Jesus’ resurrection and then ascension to be with His Father in Heaven, Jesus leaves His disciples with a gift; He gives them the Holy Spirit to empower them to be God’s witnesses on this earth. The book of Acts bridges the gospels with the epistles and gives witness to ordinary men who do extraordinary things in the name of Jesus through the power of the Holy Spirit living inside of them. Acts demonstrates how God uses ordinary people like you and me as His messengers to the unsaved world. In doing so, He saves souls, transforms lives, builds and strengthens His church. The book of Acts will leave you refreshed, hopeful and inspired as you continue this same work that started over 2000 years ago. “...Blessed be the Lord, which hath not left thee this day without a kinsman, that His name may be famous in Israel. And may He be to you a restorer of life and a nourisher of your old age;” Ruth 4:14-15a. The Book of Ruth is a story of love, faithfulness and ultimately redemption. Are you faced with some difficult circumstances that don’t seem to make sense? Have you ever looked at your life and just seen the broken pieces? Ruth is an example to us that God is in the details of our lives. He blesses our faithful resolve to put Him first. Through Ruth we see God’s faithfulness in taking the broken pieces and redeeming them according to His great love. “Now the word of the Lord came to Jonah the second time, saying, ‘Arise, go to Nineveh, that great city, and preach to it the message that I tell you.’ So Jonah arose and went to Nineveh, according to the word of the Lord,” Jonah 3:1-3. Do you desire to do God’s will and live a life of obedience? Jonah was called by God to preach salvation to a group of people he didn’t like. Through this study, you will learn from Jonah’s mistakes as bystanders. You do not have to pay the price of his decision, but can learn from his error as well as his repentance and eventual obedience. Joined with this study is a study on the book of Nahum. Nahum is the conclusion of what happens to the people of Nineveh years after Jonah preached to them. They turned to the Lord for a time, but in the end chose a life of willful disobedience. It is the story of God’s goodness and justice. Called, children of God” 1 John 3:1. What does it mean to be a child of God and how does your life demonstrate that you are a part of God’s family? This study looks at God’s love for His children and His desire for us to live holy, obedient lives built on truth. In these books, John tells us we can be assured of our place in God's family by measuring our lives against the tests that John puts forth. Be encouraged and built up in your walk with God and fall deeper in love with the One who is the source of all love and Truth. “For I am not ashamed of the gospel of Christ, for it is the power of God to salvation for everyone who believes....for in it the righteousness of God is revealed from faith to faith: as it is written, ‘The just shall live by faith.” Romans 1:16-17. How are you walking this out today? Do you walk in God’s power? Do you live in God’s righteousness? Do you trust God with everything in your life? Romans is a life changing book that takes the gospel and applies it to life. This study applies the deep principles for Godly living found in Romans, to our lives. Romans takes us on a step by step walk down the road to victory over struggles with sin, judging others, purity, peace in all circumstances, receiving God’s grace, taking hold of His promises in your life and so much more! Romans is a foundational book in understanding your Christian faith, moving from a stagnant faith to a vibrant faith and relinquishing the power of self over your life.